Home » Audio/Visual » Cinema » Ghost in the Shell: Is this really a case of whitewashing? Ghost in the Shell: Is this really a case of whitewashing? Nearly two years ago, we discussed the news about Scarlett Johansson being cast for Major Motoko Kusanagi in a live action Ghost in the Shell movie and its impact on anime fans and Hollywood. There was indeed concern as to not only the casting but who was working behind the scenes as well. Fans dismissed the news back then because there have been many anime to live action Western projects that have been held up in production hell (we are looking at YOU Akira) and Ghost in the Shell seemed like yet another candidate floating some lofty names for a movie that would never get made. Thursday of this week showed the first image of Johansson as Kusanagi reigniting the whitewashing argument again. Fans took to social media decrying the casting once again. For those that didn’t know, a petition signed by nearly 70,000 people to stop this casting has been circulating for over a year. Ming-Na Wen, who was involved in another Hollywood casting row earlier this year, was quoted as saying, “Nothing against Scarlett Johansson. In fact, I’m a big fan. But everything against this Whitewashing of Asian role.” Keep in mind as well that Wen, who plays Agent Melinda May on Agents of SHIELD, identifies herself as Macau-American. Or even when asked why anime characters have Western looks, some believe that the Japanese are obsessed with Western culture even right down to beauty. Ask many well-versed anime fans about the question of diversity and for them it comes right back to the theory that Japan has cultural issues over what is acceptable in terms of how one looks and the impossible standards that they set. Yet and still, many western anime fans rarely make a big fuss over how characters look. Even within the cosplay community, many dress as their favorite characters with very little backlash about the possibility that their cosplay is whitewashing said character. So, can Westerners really be upset over how Hollywood has cast this movie? Should Westerners maybe accept the fact that because Japan has adopted Western beauty ideals and pushed them not only into in their anime, but daily lives as well, that Scarlett Johansson’s casting is the end result? Maybe the question should be how many people upset over this issue have watched not only this anime but anime in general, and understand it enough to really have a handle on this issue and the ambiguous nature of many of the characters. But…how does Kusanagi look, really? This is the real dilemma when looking at this casting situation. It’s very understandable that for something that originated in Japan, some Western movie-goers would want some kind of Asian representation, but does the character as drawn identify as Asian? Anyone that has spent enough time watching anime has seen that characters are drawn, in so many ways, with features that aren’t Japanese, and many of those features, including eyes, breasts, hair and muscle tone defy nature as well. Unless you know what you are looking for, sometimes it’s hard to understand what an accurately portrayed Japanese person is supposed to look like in an anime. This gets more bogged down in Ghost in the Shell and Major Kusanagi. From an anime perspective, the character has been drawn a bit differently over these past 20+ years. 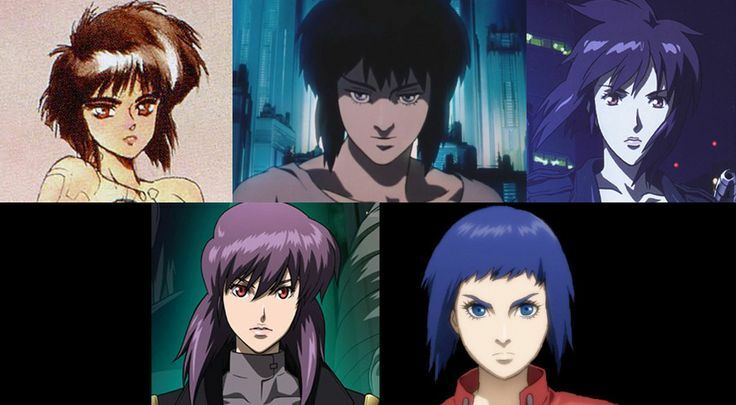 From a Western perspective, appearance-wise, there is nothing distinctly Japanese about Kusanagi. The biggest problem with the character and casting is that, for anyone that knows the history of Kusanagi, while at some point she was human, she now occupies a cyborg body, one of many that she has had over the years during the course of the manga and anime series as well. Unfortunately this gives Western movie makers the very flimsy, thin as melting ice, excuse to cast a Western actress in the role when they could have cast a suitable and credible Asian actress. Many would have thought that by now, Hollywood would have learned its lesson after the backlash against Exodus: Gods and Kings, the box office flop that was Gods of Egypt (Lesson: Casting white people as lead actors in ANYTHING having to do with Egypt in this day and age will result in certain failure) and there are even misgivings about the new Dr. Strange movie as well. As this project moves forward, that does not seem to be the case. Hollywood has not really had a strong record with Western films being made from anime and manga. One of the last high profile films, Speed Racer cost $120 million to make and only made $93 million worldwide. Even more recently, Spike Lee’s Oldboy remake was a $30 million dollar movie that only made $4.8 million worldwide. If this trend continues, and fans continue to vote with their dollars, then it’s not looking good for either Naruto nor Ghost in the Shell. The question that still needs to be asked is, while there is a very strong case (yes, it’s really evident without question) for whitewashing in Ghost in the Shell as a Western made movie, who is really at fault for creating the problem? Western culture and norms or Eastern culture for adopting it, thus making something for the West to adapt? Update: Here is a video that shows a sample of what some Japanese people had to say about the casting. Some of their answers may surprise you. Let us know in the comments below if you will or will not support this movie. 5 Comments on Ghost in the Shell: Is this really a case of whitewashing? To be honest, Harry, I never thought of Kusanagi, even with the name, as Japanese. The large “western” eyes alone argue against it. I still don’t get it though. There are rich people who can become producers from all races. Why has no one said, “Hell, let’s make this movie the way I think it should be made?” It’s really as easy as that. Still, I shudder to think about what would happen if Mel Brooks was to make half his movies in this day and age. Can you imagine the outcry and moaning if Cleopatra were made today? Even the Waynes brothers would catch some flack if they tried to make I’m Gonna Git You Sucka in 2016. Well the Wayans did ,make White Chicks and we saw how that worked. My whole input on this “controversy”, is it sounds like a whole lot of white guilt to me. 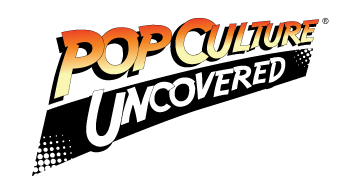 Look, as a huge anime fan over the past 25+ years, my whole question is this: For years, Americans have been dubbing anime with tons of usually white, English voice actors, playing thousands of Japanese characters… where was the outcry there? Now that it’s a live-action movie here, everybody loses their mind and this is white-washing?? A bit of hypocrisy to me. It’s sometimes hard to take accusations of whitewashing seriously given that the genre we’re talking about is full of blonde-haired, blue-eyed characters with distinctly Western features. As this article pointed out, a great deal of Japanese anime is drawn to Western standards of beauty. But it doesn’t stop there. Anime draws heavily on Western settings and history, sometimes mimicking typical European medieval fantasy and often times melding it with Japanese historical and mythological elements. Look at Berserk. It’s easily one of the most influential and notable works in the manga/anime canon, and it is heavily based on said European themes and settings. The characters are also influenced by this, from their facial features and hair colors to their weapon choices, fighting styles, and so on. Similarly, GITS, like many of Masamune’s other creations (e.g. Appleseed, Dominion), is full of characters who look distinctly European. And the Major has changed looks throughout every adaptation. Her hair color and eye color has changed regularly, as well as the general shape of her face (not to mention her personality – which enjoys wide shifts from one adaptation to the next). For example, she has striking blue-grey eyes in the original film, a phenotype that is not very representative of Japan’s population. And don’t even get me started on how the Major’s entirely cybernetic body doesn’t need to perfectly match her physical characteristics as a human. Hell, the very fact that she took a form like that of Scarlett Johansen could itself be a commentary on the Western beauty standard that some Japanese fiction holds up, making this film the cutting commentary that so many insist it can’t be because of her casting. But I digress. When the characters in a given work are made distinctly Western in the first place, it’s hard to call casting an actor that actually resembles the character “whitewashing”. I’m more bothered by the fact that the filmmakers themselves are just more old white men. GITS is a Japanese story, and it seems only reasonable to me that it should involve Japanese actors and filmmakers in a meaningful capacity. Barring that, perhaps the writers should at least be young enough to understand the technology being written about. But the movie business is not about doing the right thing, it’s about making money. And Scarlett Johansson is going to bring in audiences, because she is a huge star. Ultimately, that’s all that matters to studios. They aren’t insidious racist conspiracy machines. They’re just people who are trying to reach a wide audience by using established stars who they believe are relatable to the audience they’re trying to reach. GITS may be a Japanese story, but now it’s a blockbuster movie. As we all know, the U.S. is the home of the blockbuster movie audience. And the studios, whether they’re right or wrong, don’t think that U.S. audiences are going to come out in droves for a film adaptation of a property they don’t recognize which is full of Japanese actors that they have never heard of. You can say that’s an underestimation of the American moviegoing public, but then…Donald Trump exists. So I think it’s a fair estimation.